The Cecille B. DeMille acceptance speech at the Golden Globes by Oprah Winfrey has opened the floodgates of her running for president - something still not confirmed. But hey, I guess she would not be the first TV personality to make it to 1600 Pennsylvania avenue! 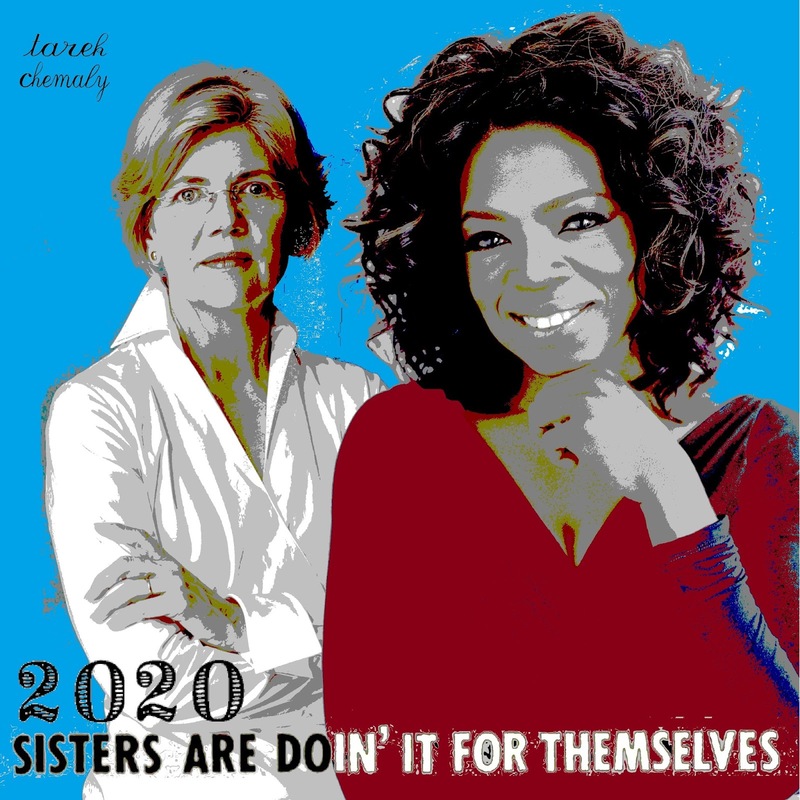 So here is the dream poster above courtesy of yours truly of the ideal tag team - Oprah Winfrey and Elizabeth Warren for 2020 in the United States. The line? "Sisters Are Don' It For Themselves" from the Eurythmics and Aretha Franklin song, which would galvanize women woters and bring male voters to shame!